Thank you to the 98 families who have completed the annual Board Survey. Please remember that the survey closes at 12:00 p.m. today. Survey links were sent out to all families next week. You can earn house points for your child by completing the survey. 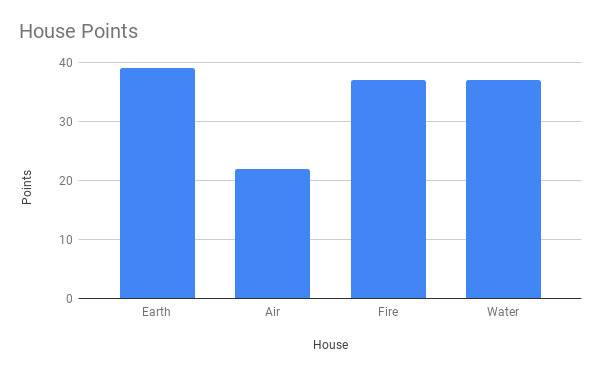 Earth currently has 39 points and a two point lead over Fire and Water.